USE CODE 50OFFCAMPS TO GET $50 OFF THROUGH MAY 15th. 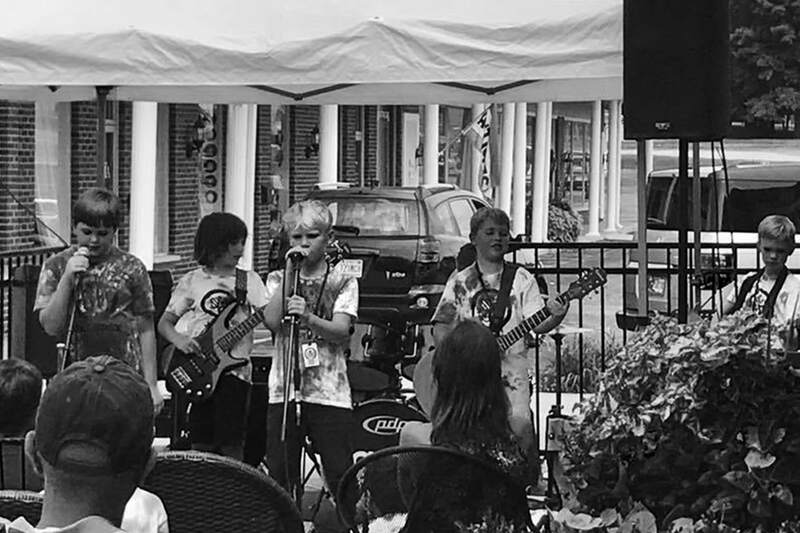 Come learn the music of 60s and 70s rock icons such as The Beatles, Led Zeppelin and The Rolling Stones in our Classic Rock Rewind summer camp! USE CODE 50OFFCAMPS TO GET $50 OFF THROUGH MAY 15th. Campers will learn the music of 60s and 70s rock icons such as The Beatles, Led Zeppelin and The Rolling Stones in our Classic Rock Rewind summer camp. In addition to songs, students will learn about rock history and the stagecraft needed to perform on stage. The camp runs Monday through Friday culminating in a live performance for family and friends. Great for students 7-18 years of age who have had some previous instruction.